Building a library on Debussy's Violin Sonata with Caroline Rae, plus Andrew McGregor reviews new choral releases with Caroline Gill and Simon Heighes. Building a Library: Debussy's Violin Sonata by Caroline Rae. Debussy's Sonata for Violin was written in 1917 and was intended as the third in a cycle of six sonatas for various instruments. It follows the sonatas that he wrote for cello, for flute and for viola and harp, but turned out to be the last major work that he would complete before cancer prematurely ended his life. The premiere took place on 5th May 1917 with Debussy himself at the piano accompanying the violinist Gaston Poulet. Debussy was profoundly affected by the First World War and his Sonata for Violin begins with an elegiac movement. The final movement, inspired by Hungarian gypsy music, does however bring the sonata to a more optimistic close. 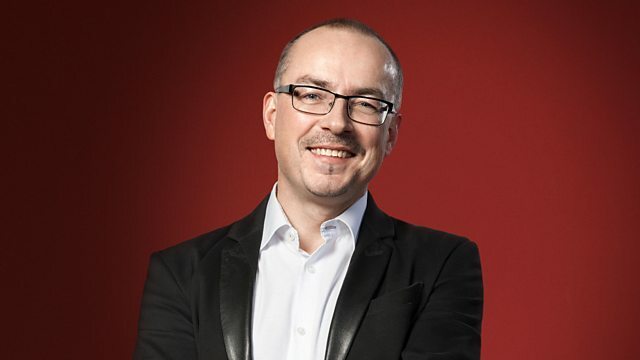 Andrew talks about new choral releases with Caroline Gill and Simon Heighes from Buxtehude sung by Vox Luminis and Lassus from Gallicantus, to Arcangelo's Charpentier and Tenebrae's Lukaszewski. Performer: Raphaël Imbert. Singer: Marion Rampal. Ensemble: Le Quatuor Manfred. Performer: NDR Chor. Performer: NDR Radio Philharmonic Orchestra. Performer: Andrew Manze. Choir: WDR Rundfunkchor Köln. Performer: Julia Schröder. Ensemble: Lautten Compagney. Orchestra: Munich Philharmonic Orchestra. Conductor: Valery Gergiev. Below are other recordings that Caroline Rae also liked, although we can’t guarantee availability.